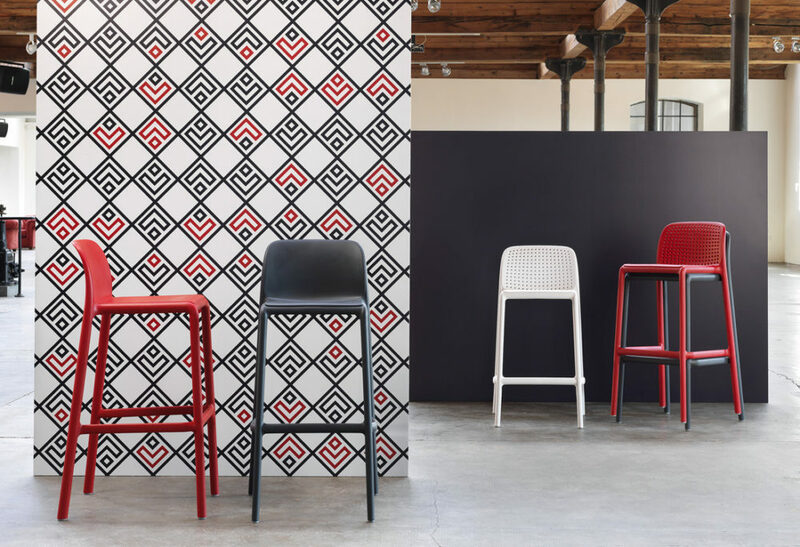 The Lido Outdoor Counter Height Stool is a full one-piece monobloc bar stool with a back, manufactured with Polypropylene & Fiberglass resin by NARDI of Italy. 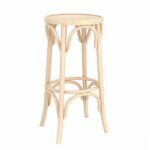 It’s mono-colour matte finish and dramatic contours make the stool a natural focus of attention, and it’s comfortable to boot. Its distinctive perforated style adds to the effect while having the practicality of increased water runoff when situated in an outdoor patio area. 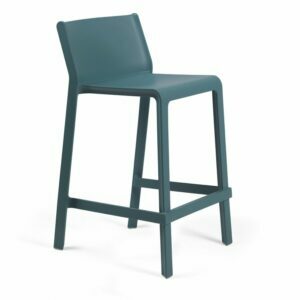 The Lido Outdoor Counter Height Stool comes with a manufacturer backed 2-year commercial warranty, making this stool a great choice for commercial applications such as bars, restaurants and cafes or for quality conscious residential consumers. 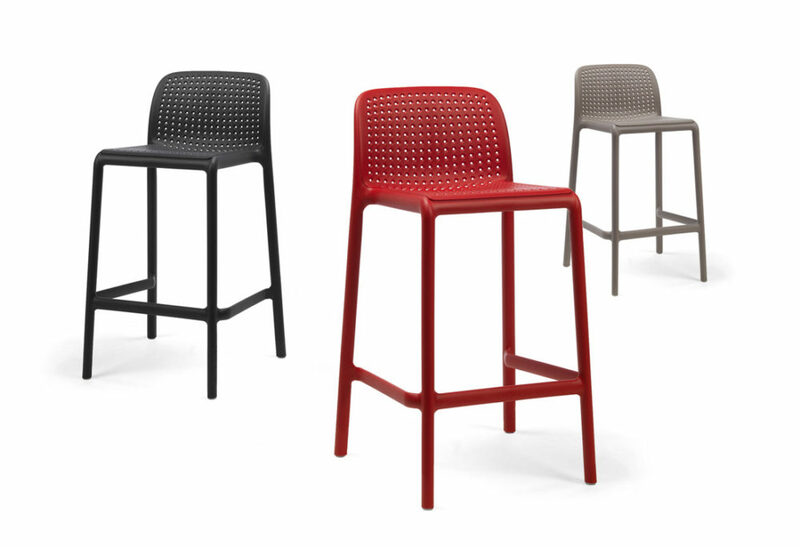 The Lido Outdoor Counter Height Stool will enhance the décor of your seating area! 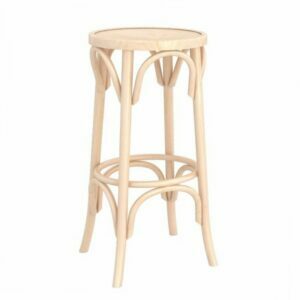 Place these Bar Stools outside and the top-grade manufacturing materials will prove to you their merit. 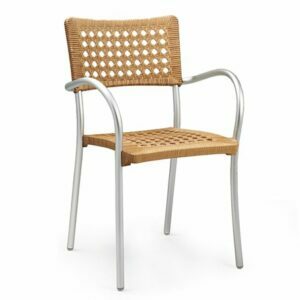 Accumulation of growth such as moss, mould, and mildew routinely plague cheaper alternative outdoor furniture. 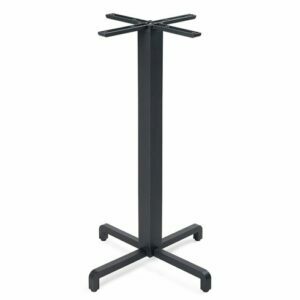 The Lido Outdoor Counter Height Stool is resistant to pesky organic growth and wipes down effortlessly with mild soap & water. The Lido’s resin is also packed with UV additives that protect it against the aggressive sunlight that we experience in New Zealand with our less than desirable ozone protection. Charcoal: Charcoal Grey is softer than black, but still brings to the table the flexibility of a neutral colour that coordinates well with a plethora of colour palettes. Charcoal is minimalist, modern and clean – it’s meteoric rise to popularity in the world of interior and exterior design is a testament to those qualities. Natural colour & textures such as the wood of your deck or fence complement the Charcoal colouration of the beautiful Lido Outdoor Counter Height Stool, and it produces a striking effect against the contrast of garden green. Along with the sleek & versatile colour, it’s got great comfortable seats that your guests will love in your elevated seating area. White: White is the reigning monarch of neutral colours, and that’s not about to change any time soon. It’s both energising and clean to look at, and you can’t go past White’s unbelievably versatile decorative qualities. White looks great with practically any colour palette, including those which have varying colour tones. It pops against texture, including that of natural wood and comes together to create a minimalist modern look against concrete, polished concrete or neutral toned tiles. 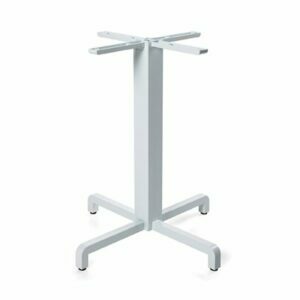 You can’t go too far wrong with the Lido Outdoor Counter Height Stool in White; however, you’ll always be the best judge of what will work at your place! 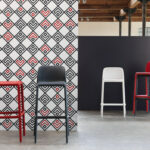 Would you rather see other Breakfast Bar Stools? 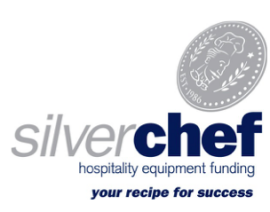 Check out our range of Breakfast Counter Bar Stools. 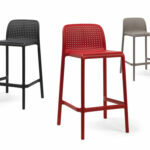 You can also refine your search for only Outdoor Safe Stools by taking a look at our Outdoor Bar Stool Range. 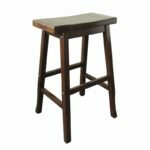 If your search has become too narrow then head on over to our Bar Stools Category and check out our whole Bar Stool range. 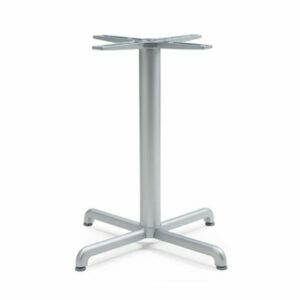 The Lido Outdoor Counter Height Stool and other kitchen counter height stools with a seat height of around 650mm are not suitable for commercial height applications (1050mm or thereabouts in Bench Height). 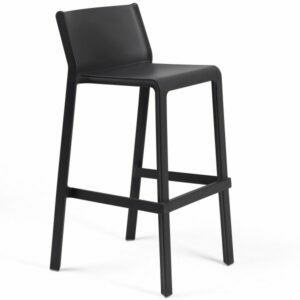 These kitchen counter bar stools are made for a breakfast bar/kitchen counter standard height of around 900mm. 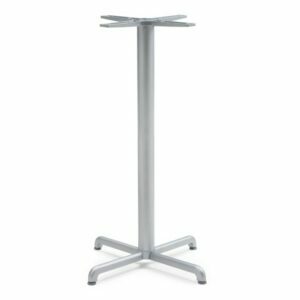 If you require commercial height/bar leaner height bar stools then make sure to take a look at our Tall Bar Stools section.